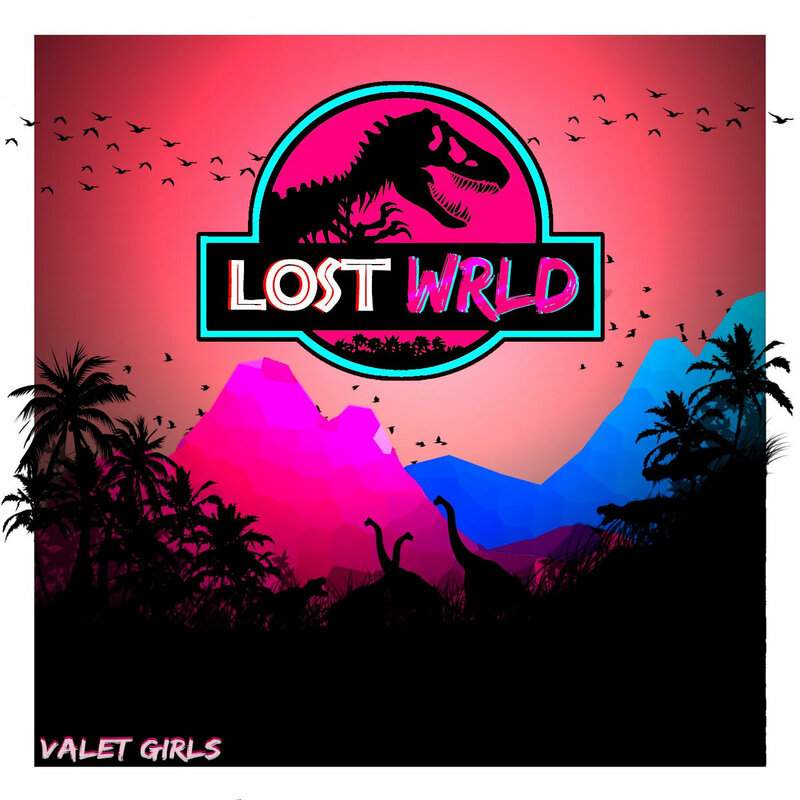 Valet Girls “LOSTWRLD” is another in the line of themed vaporwave albums but this one is themed after the Jurassic Park franchise, the franchise that peaks everybody’s interest with its fascination with both Dinosaurs and science-fiction. On the surface, you’ll find an album that is worth listening to but beneath the surface, you’ll find the makings of a vaporwave classic. This album mixes synthpop with vaporwave and the results are least to say, impressive. It sounds like a mixture of hardvapour with classic-style vapour with a fair bit of other subgenres mixed in for good measure. The sounds are often glitchy but smooth and nostalgic as it takes you back to 1993 where Jurassic Park was just released and you’re one of the first people to see it in a movie theater. It’s melodic, it’s creepy, it’s often mysterious and best of all, it’s unique. If you were to look for something similar to this, you would come up short. There is a lot of ambiance and special effects that runs concurrent with the sounds of the album which in my eyes is the defining feature of this album. It creates a sort of cinematic atmosphere that really immerses you into the story and makes for an interesting listen. You’ve got danger, you’ve got excitement, you’ve even got worthy tributes to Jurassic Park through interpolations of it’s themes, orchestral pieces and aesthetic. If that were taken away then the core of the album would not exist, this is a drawing feature of the album; one that makes multiple relistens fun and exciting, it’s almost as if you were watching a movie. If there were one flaw, its that it’s inconsistent in some areas. Some songs (with wonderful features) feel out of place while others offer just too much variety, it makes you feel like you’re listening to another vaporwave album rather than something special. However, those are minor detractions compared to the bigger picture, which is the overall grand attempt to make a story into something more which has succeeded beyond the artist’s wildest dreams. This album is a wild success, everything sounds fine even if some things don’t feel fine and even if you’re not a fan of vaporwave. You’ll appreciate the hard work and passion that went into making a Jurassic Park vaporwave tribute album, and that alone means something in this world at least.